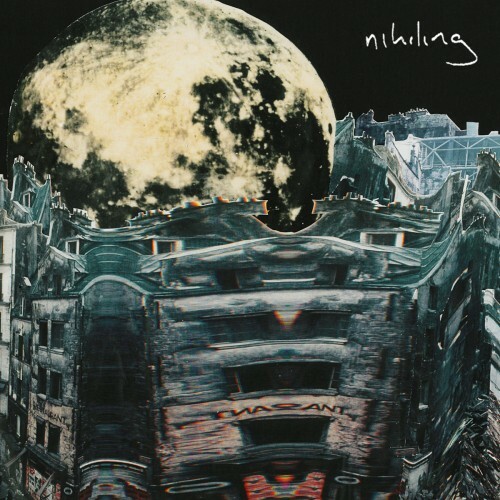 Nihiling started out as a Post-rock band in 2006; in 2014 it’s one of the pillars together with Progressive Rock and Indie-Pop. Operating from the Germany harbor city Hamburg the quartet shows us seven songs of melancholic gesture that want to move your heart in a positive way. Listening to the album they worked very hard to craft until the members were satisfied. That’s in one key sentence the biggest advantage and downfall of this self-titled album. The great thing is the band has used their ideas to the maximum in exploring the possibilities of guitar pedals in weird loops. The songs “Plot” and the end of “Tragic” have these details combined with the great melodies and melancholy all over it. Also electronic samples and beats are making the record easier to digest and interesting. These ingredients with Indie Pop influences (included are beautiful fragile female vocals) and old fashioned Post-rock makes “The Universe is Something That Happens” one of the highlights of the album. After all these ideas thrown in one song, the quiet piano part in the last song “The Lesson of Being Who We Are” combined with a spacy electronic sample gives some air to breathe until the album is ending with as a classical Postrock song. All good, all fine you will think? Not completely; the downfall the album is sonically too polished there are hardly any rougher edges left. The record suffers from what I call “Deutsche Grundlichkeit” and perfectionism; the recording guy should had kicked the members out of the studio in an earlier stage to prevent them coming back in fixing small faults and overdoing particular parts over and over again. The album has a sterile and cold atmosphere; I miss the warm feelings a band like Anathema has to offer. I won’t go that far with the sentence in the biography “Beauty is always something that can be destroyed anytime”; it happened in kinda way on the album. Unfortunately!